Order the latest Sci-Fi Novel by Wray Miller, Cerulean Blue now for $8.99 + S&H! Shopping Cart available through Paypal only. Add Cerulean Blue by Wray Miller to your cart Today! Add Cerulean Blue by Wray Miller (Case of 8 books) to your cart. Please note if you are buying more than 5 cases contact us at orders@millerwrite.com for shipping options. 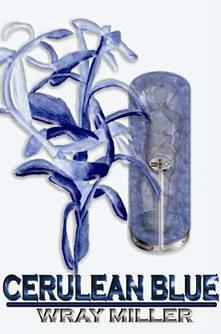 View your cart orders of Cerulean Blue by Wray Miller. Acceptable payment methods: Paypal, Money Order, or Cashier's check. If you would like to pay via Money Order or Cashier's check please send an email to orders@millerwrite.com to determine shipping and handling before sending payment. All prices are determined in US dollars. To find out the shipping for countries outside of the US please contact our Sales Department.